BookBuzzr AuthorPage widget is a shiny new Facebook Fan Page widget which allows you to create an engaging Facebook Fan Page in minutes. Hiring a professional to build such a Fan Page would ordinarily cost an author at least a few hundred dollars. 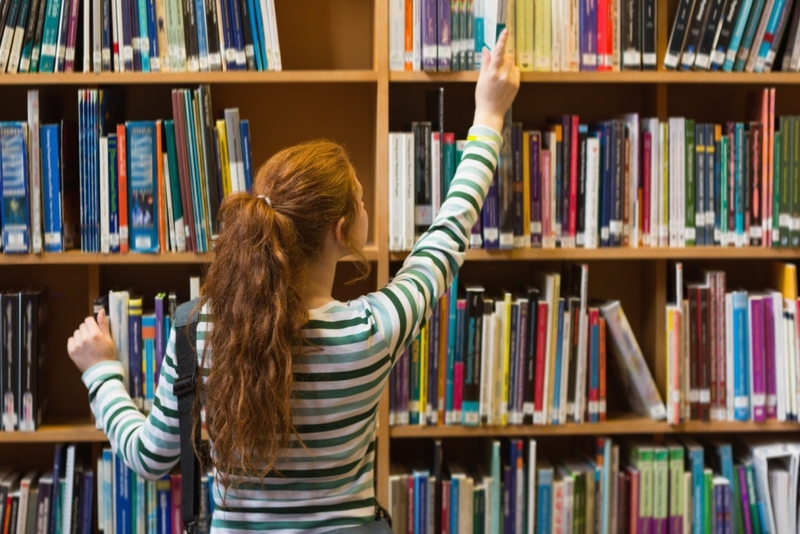 At BookBuzzr we’re committed to delivering the most imaginative book marketing technologies at a highly affordable price. All BookBuzzr Author Pro subscribers automatically get access to BookBuzzr’s Facebook Fan Page Widget along with all of the other cool book promotion technologies such as the Hangman game, exposure in the CoverMatcher game on Freado.com and the Amazon Sales Alert tool. QuickQuiz allows you to rapidly create and deliver short, interesting quizzes that are fun for your readers on Facebook. These quizzes can also be embedded on your blog or website. They can also be found on Freado.com – a site owned by BookBuzzr and visited by tens of thousands of visitors every month. Each QuickQuiz consists of only 5 questions. When a reader participates in a QuickQuiz, he or she earns points that can be used to win prizes on Freado.com. 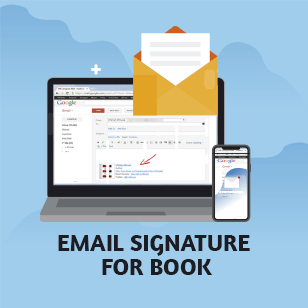 The key ingredient which makes QuickQuiz useful for your book promotion involves the idea of attention transfer which is best illustrated by an example. Let’s say, you want to promote a vampire romance book. You create a QuickQuiz on the best sellling Stephenie Meyer book – Twilight. A fan of this book decides to take your QuickQuiz on the book. The fan discovers your book in the course of playing the QuickQuiz since information about your book shows up at strategic points in the quiz. You’ve just found a potential new reader for your very own book! Checking Amazon Sales Rank can be a major time waster for most authors. 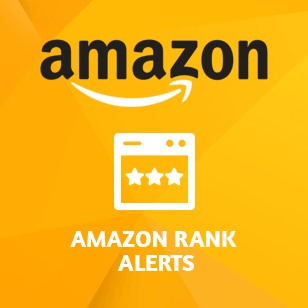 BookBuzzr’s Amazon Alerts tool (available free with a BookBuzzr Author Pro subscription) frees you from the time-wasting grip of the Amazon sales rank. It sends you an email alert ONLY if your sales rank has improved (indicating the “ka-ching”.) And it sends you a ‘daily digest’ with information about how your sales rank moved during each day. You can thus stay focused on your activities without breaking your flow, wasting time or having to feel de-motivated if you see that your sales rank has nose-dived. As a premium paying author, you get an extra tab on your Freado author profile page where we feature an interview with you. This helps visitors to better understand who you are and why they should be interested in your book. If you are a BookBuzzr Author Pro subscriber, you can also give away your book as a prize on Freado.com. Book lovers then bid with points (which they have earned from playing games on the site) for your book. This creates buzz and interest in your book. Further, your book shows up in the BookBuzzr newsletter which has thousands of readers. Your book also shows up on Freado’s Facebook fan page in the Prizes section. A Landing page widget is designed to catch the attention of your site or blog visitors and get them to take a specific action (such as “Buy My Book”, or “Pre-Order” or “Participate in the Giveaway”.) All landing page themes from BookBuzr now come in three sizes. One size is a large, overlay screen (useful when you really want to get the attention of your visitors such as when you are doing a book launch), the second size is Enlargeable Mini (smaller in size so that it can be embedded in side bar of your website/blog, it has got a button that enables the visitor to enlarge the widget) and the third size is a slightly smaller version which can be embedded on your blog. All Landing page themes come bundled at no extra cost to BookBuzzr subscribers. 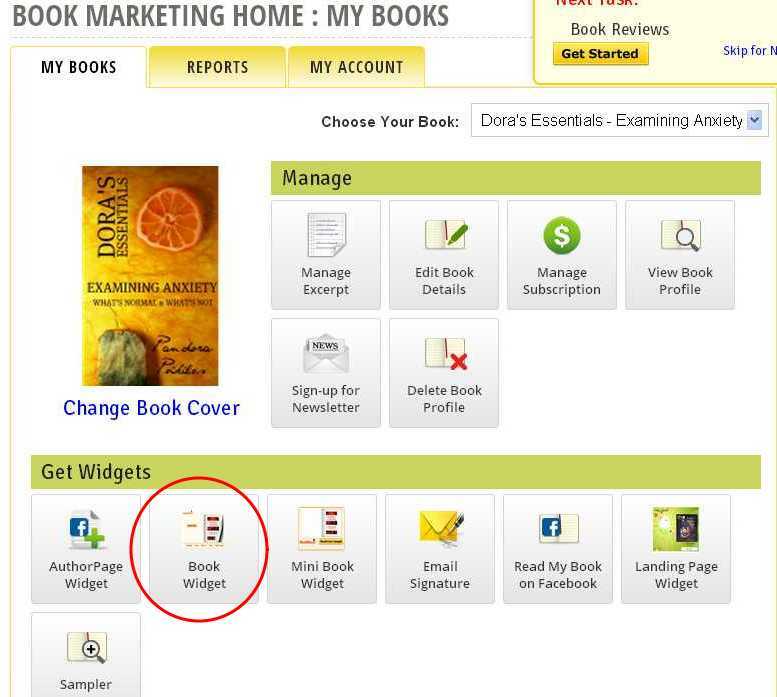 If you are a BookBuzzr subscriber use the widget today for your book by logging in to your Book Marketing Home Page. If you have not yet tried a BookBuzzr subscription, test drive one today. The first month is free and you can cancel any time. The pages of your book turn like a real book. Readers and authors tell us that they find this experience to be strangely gratifying. 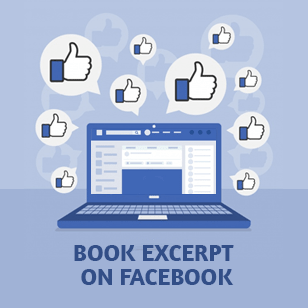 Readers don’t need to leave Facebook to sample your book. They can simply click on the “Read My Book” tab and sample your book. As an author you may have many technology related questions. “Should I use WordPress for my website?” “ How do I run a contest on Facebook?” etc. But you should be spending time writing books … not researching answers to technology questions. The BookBuzzr Book Marketing Technologies Forum allows you to ask your question to other BookBuzzr authors and to the staff at BookBuzzr. This forum will be the world’s first and only forum dedicated to answering the ‘book marketing technology’ questions of authors. Sign-up for a BookBuzzr Author Pro subscription today. 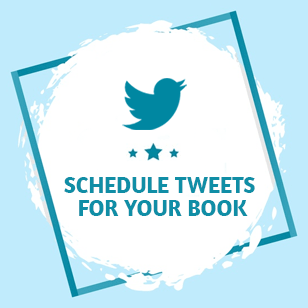 You can cancel at any time if you don’t think it’s adding value to your book promotion efforts. Very VERY compelling arguments. Money is super-tight, but with that one-month-free offer and the option to cancel anytime I am seriously considering it. I’ve enjoyed BookBuzzr’s free services for a while. I’m going to do a little more research on the popularity of the Freado site, and pending that, I could definitely see myself giving Pro membership a try soon. I created a hangman game “Early Civil War Adventures” for my book, “Beyond All Price.” I have a Pro Plan subscription for that book, but the game shows somebody else’s book cover, and it says I still have to subscribe to get my book to show up. I can not find any way to get help with this problem. I don’t mind paying the charge, but I’d like to receive the benefits listed above. Thank you for your comment. Sorry for your troubles. We have fixed this issue and set it up to show your book cover in the game. You can check it out at http://www.freado.com/hangman/636/early-civil-war-adventures and http://www.freado.com/users/fun/23109/carolyn-schriber. The user interface was not clear on that particular page and hence it probably confused you. 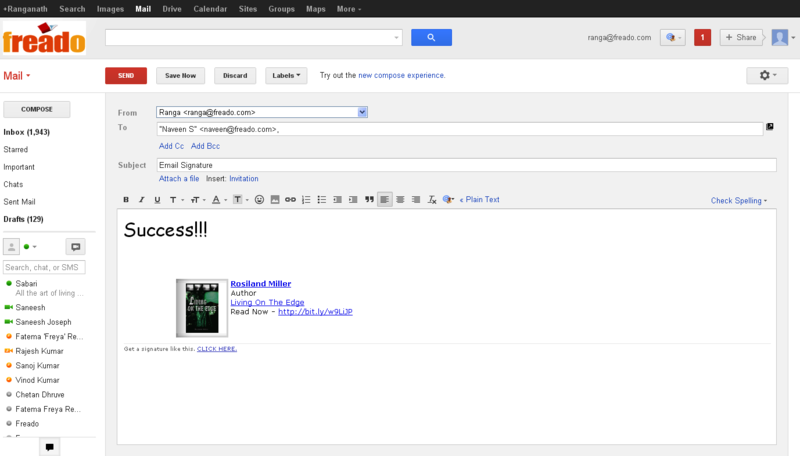 Now, we’re working on improving that particular user interface. Thanks again for bringing this up. Get a Best Seller Of Your Choice with the New CoverMatcher!